Title 1, "Jesus also lived in Lebanon", "Jésus vécu aussi au Liban". 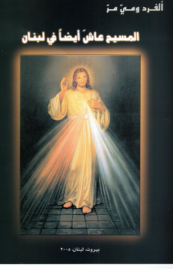 A compilation of years of Historic research about the time Jesus Christ spent in Lebanon. A resume of a manuscript of more than 1000 pages. Printed in Arabic. English and French versions will be published at a later time. Title 2, "Possible my Love!? ", "Possible mon Amour !?". Poems by May for Freddy after his passing. 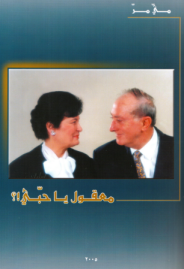 A booklet printed in Arabic letters but in the Lebanese language. Both titles are sold together as one package and the price is 20 US $ including shipping.